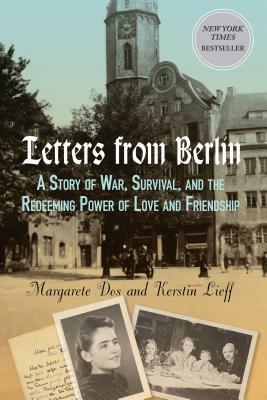 When Margarete Dos moved with her family to Berlin on the eve of World War II, she and her younger brother were blindly ushered into a generation of Hitler Youth. Like countless citizens under Hitler's regime, Margarete struggled to understand what was happening to her country. Later, as a nurse for the German Red Cross, she treated countless young soldiers--recruited in the eleventh hour to fight a losing battle--they would die before her eyes as Allied bombs racked her beloved city. Yet, her deep humanity, intelligence, and passion for life--which sparkles in every sentence of her memoir--carried Margarete through to war's end. But just when she thought the worst was over, and she and her mother were on a train headed to Sweden, they were suddenly rerouted deep into Russia... This powerful account draws back the curtain on a piece of history that has been largely overlooked--the nightmare that millions of German civilians suffered, simply because they were German. That Margarete survived to tell her tale so vividly and courageously is a gift to us all. Kerstin Lieff was born to Margarete Dos and Jurgen Moller in Stockholm, Sweden, in the winter of 1952, just after her parents fled their German homeland. Ten months later, the family immigrated to St. Paul, Minnesota, where she grew up speaking German and hearing stories about her parents' past. Her mother died in 2005 at the age of eighty-one, not long after reciting her life's story. Kerstin now lives in Boulder, Colorado. "After more than half a century of silence, a World War II survivor shares her terrifying experience of the war from the other side. Everyone should know this story of the survival of the spirit."